Our commitment to quality is a critical factor in the electrical sector. At iGrid T&D, we are committed to quality in all aspects of our business as we are convinced that it is the key to ensure the highest level of customer satisfaction. 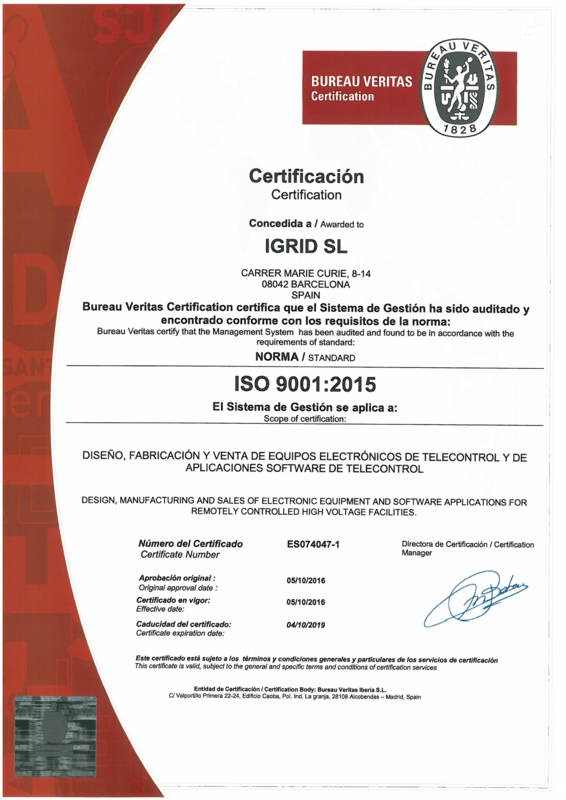 iGrid T&D quality system has been audited by Bureau Veritas in accordance with the standard ISO 9001:2015 (download pdf certificate).